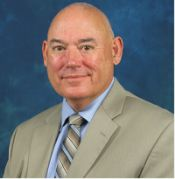 Retired in 2014 as a Chief Deputy for a large Florida Sheriff's office, Dan Libby has been a law enforcement officer for 38 years, of which 16 of those years were as a Chief of Police. He earned a Juris Doctor degree from New England Law in Boston in 1982 and is a member of the Commonwealth of Massachusetts Bar. He teaches criminal justice and educates law enforcement personnel. Chief Libby is a consulting expert in almost all aspects of a law enforcement organization's operations and is available for litigation consulting. Dan Libby has a consulting business that provides litigation consultation (expert witness) and in-service instruction. His area of expertise is in criminal justice administration, training and discipline. Police Internal Affairs, Search and Seizure. Wilfred Daniel (Dan) Libby is a 38 year veteran of law enforcement. He recently retired as the Chief Deputy for the Charlotte County Sheriff's Office and was the past Commander of the Bureaus of Administration and Law Enforcement which included the Professional Standards Division (Training, Internal Affairs, and Staff Inspections). Positions he assumed after serving seven years as the Chief of Police for the City of Punta Gorda, Florida. Prior to his Florida law enforcement experience, he was the Chief of Police in Plymouth, New Hampshire (9 years) and a road patrol police officer/sergeant in Bedford, Massachusetts (11 years). He has been certified in three states as a police officer. Mr. Libby holds a Bachelor of Arts Degree from the University of Massachusetts in American History and a Juris Doctor Degree in Law from New England School of Law in Boston, Massachusetts. He is admitted to the practice of law in the Commonwealth of Massachusetts. He is a graduate of the Command Officer Training Program at Babson College in Wellesley, Massachusetts, the 202nd session of the FBI National Academy in Quantico, Virginia, and FDLEs Charter Executive Leadership Class. Mr. Libby is currently an adjunct instructor in the Institute of Police Technology and Management Internal Affairs and Background Investigations Courses at the University of North Florida. During his various tenures as an instructor, Mr. Libby has instructed over 20,000 Law Enforcement Officers and Criminal Justice students in a plethora of criminal justice subjects. Mr. Libby is currently the president and principal of W. D. Libby Consulting, Inc., a law enforcement training corporation and serves as a litigation professional (expert witness).